The local organising committee for the 2019 Pan American and Parapan American Games has unveiled the Estadio Atlético, the latest venue to be completed for this year’s event in Lima, Peru. 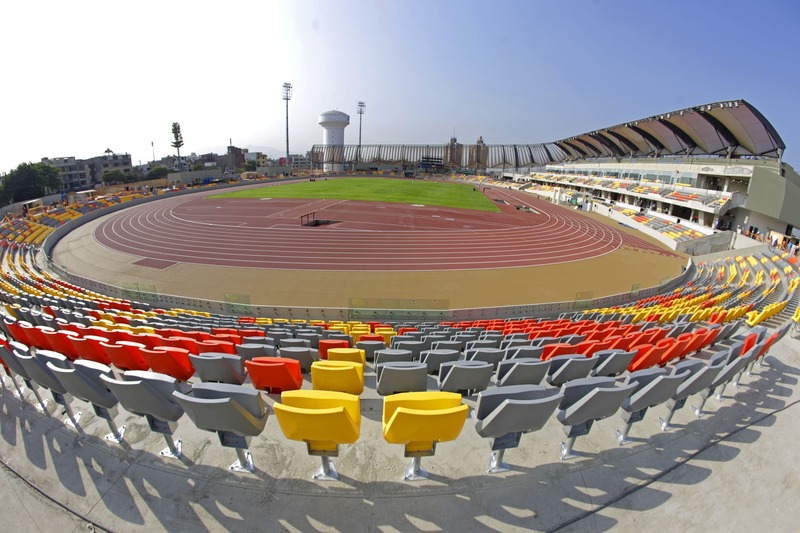 Lima 2019 has stated the competition track has been installed before the date the stadium was due to be handed over to the Peruvian Athletics Federation, with only final conditioning works and installation of temporary seating to be completed. The athletics stadium has been developed in 12 months and is located in the National Sports Village complex (VIDENA), which will also be the home of swimming, track cycling, handball, judo, badminton, table tennis, figure skating, bowling and squash during the Pan Am Games. The Estadio Atlético will have a capacity of over 10,000 during the Games, after which it will be downgraded to a permanent capacity of 6,000. Lima 2019 has also announced that the construction of the Games Village has been completed ahead of schedule. The village is set to accommodate 10,000 guests in 1096 apartments during the Games. The Pan American Games are due to take place from July 26 to August 11, with the Parapan American Games to follow from August 23 to September 1. A number of venues are yet to be delivered with little over four months remaining until proceedings commence.